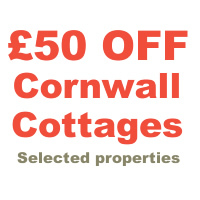 If you are heading to Cornwall in 2013 then take advantage of an excellent £50 Off discount voucher through Find Cottage Holidays. It’s not often we can give you a head start on a discount, so we are happy to recommend this great offer from the Find Cottage Holiday and Mardens Holiday Cottages teams. You can find full deatils of the selected Cornwall cottages the offer is for and more details about the Cornwall Cottages with £50 Off. While it seems hard to believe, the Loire is actually home to more than 1,000 glorious chateaux. So while you will no doubt wish to visit some of the most famous such as Chambord, the explorers among you will doubtless stumble across many more on your travels. That is if you can drag yourself away from the many wonderful views and walks alongside the Loire River that runs through this magnificent area. Le Chateau des Marais in Chambord with its picture postcard setting and expansive pool complex makes a delightful place to simply relax, or an ideal base for discovering the wonders of the Loire. Enjoying a peaceful location in the grounds of a lovely old manor house, the park has been developed by the friendly owners to a very high standard. The Loire River is just a short distance away with opportunities for canoeing and fishing. The chateaux of Chambord and Blois are close at hand. Offering a wealth of wide open spaces and a lush, green setting, L’Etang de la Breche near Saumur, offers great facilities and the perfect place in which to simply enjoy the great outdoors. The first thing that will strike you when you enter this park is the openness of the grounds. The location is ideal for exploring the many outstanding chateaux of the region including Saumur, Chinon and Azay le Rideau. France’s Atlantic coast has everything that beach and water sports lovers could ever want. The Atlantic breakers crash onto mile after mile of golden beaches, which combined with the wonderful climate, make Vendee an ideal destination for lovers of the great outdoors. It isn’t all about the beaches though; the region also features a host of lively resorts, excellent shopping centres, attractions such as the Futuroscope theme park and a world famous cuisine. Young families will love Les Ecureuils in St Hilaire de Riez, the park could not be better positioned, with a wide beach just across the road where golden sands stretch for miles. There is a superb outdoor pool with waterslides, indoor pool and a whole pool play area especially designed for the younger members of the family. For those who prefer a location away from the hustle and bustle of a seaside town, then La Garangoire in St Julien des Landes is the place for you. The park is set amongst woodland and has a lake for fishing and canoeing, there are even marked walks in the forest. The pool area caters for young and old and even those who wish to stay dry with a generous seating area. There is entertainment provided daily for children and most nights for the whole family and caters for all tastes including traditional dance, quizzes and crepe evenings. Blackwater Holiday Home on the East Coast of Ireland has a great £22 discount per week off the full occupancy price for the remainder of October 2011. In the popular region of Wexford, Blackwater is a self catering semi-detached House for 6/7 people, 3 bedrooms, and is a modern spacious home in a quiet village location. Blackwater is pet friendly. This is one of three holiday homes set in a quiet courtyard in the historic village of Oulart home to a couple of shops just five miles from Blackwater village. 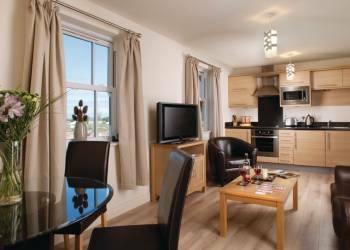 Ideally located within an hour and a half of Dublin and Rosslare Port and 12 miles from Gorey Wexford and Enniscorthy. Inside is tastefully furnished and decorated with security alarm, power showers and a fully equipped kitchen. A great base accessible for all the tourist attractions and close to many sandy beaches and golf courses. Shop 80 yards. Pub 100 yards. Restaurant. Beach 5 miles. Loch Tay is a charming barn conversion that enjoys spectacular views over the loch. It is beautifully positioned on a 40-acre estate between the high peaks of Ben Lawers and the sweeping beauty of Loch Tay. The original stone walls conceal a beautiful modern interior, completely rebuilt to offer high quality accommodation with contemporary stylish furnishings and fittings throughout. The pretty village of Killin is 6 miles away, Aberfeldy is 16 miles and 2 miles along the road, an excellent inn offers good food. 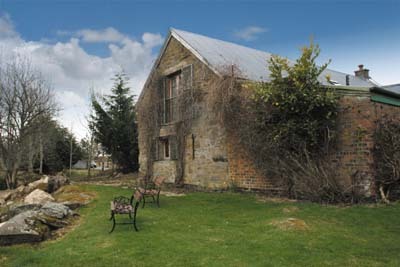 On the ground floor there is a spacious living room with a cathedral ceiling and wood burning stove. The Bay is a prestigious development of holiday cottages and apartments offering the ideal getaway for short breaks and holidays at any time of the year. Set within 150 acres of landscaped parkland this exciting holiday resort has nearly 600 metres of frontage onto a safe and sandy beach. The Victorian resort of Filey is just 3 miles away with shops restaurants and award winning gardens and museum. The friendly atmosphere and traditional seaside charm has made it a holiday favourite for many years. The larger resort of Scarborough is only a short drive away. The Bay affords guests easy access for visiting the countless attractions the area has to offer and is a great base for exploring the breathtaking Yorkshire coastline North Yorkshire Moors and the historic city of York just 40 miles away. 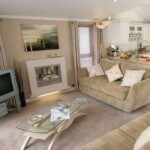 Get a fantastic holiday at Penllwyn Lodges, Powys for under £500 with Hoseasons. 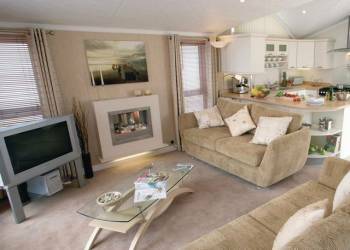 These lodges are nested in woodland just three miles from Montgomery and are the perfect base for exploring the surrounding area. Completely unspoilt the surrounding area offers Shropshire borders to the east and the rugged splendour of the Welsh mountains to the west. Fishing is available on the lake Montgomery canal and the River Severn at no extra charge. The high standards provided by Penllwyn plus the freedom to wander over meadow land and along the canal towpath this is a holiday you will wish to repeat. Give the family a treat this summer holiday and save up to £100 into the bargain. 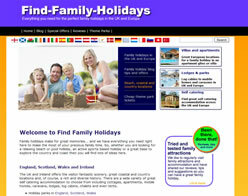 Hoseasons are offering up to £100 off your 2011 summer holiday! There are over 70 locations to choose from in this offer so book now to get your favourite holiday – offer applies to arrivals from 23rd July and completed by 27th August 2011. At Devon Hills the ‘English Riviera’ is on your doorstep, the park has a valley setting on the outskirts of Paignton. The night time entertainment of Torbay and water sports beaches are within 3 miles of the park. 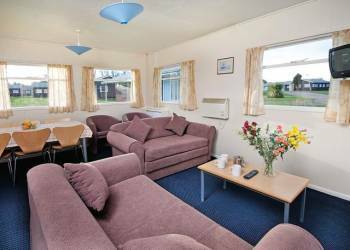 The holiday park is set on the charming Mersea Island with scenic sea views and is ideally situated for exploring the Essex coast including England’s oldest recorded town of Colchester. There is so much to do here you will need another holiday to recover – countryside walks; fishing trips; golf and pony trekking to name a few. If you are looking for a fun packed holiday then Hemsby Beach Holiday Village is the place to go, set only 300 yards from the golden beach with safe bathing it is the place to take your little ones. A range of facilities are nearby including shops cafes amusements of all types fun fair and souvenir shops there is lots to keep you busy. There is a wide variety of snacks available with takeaway food bars catering for all tastes from fish and chips to ice cream so you can have a break from making dinner.